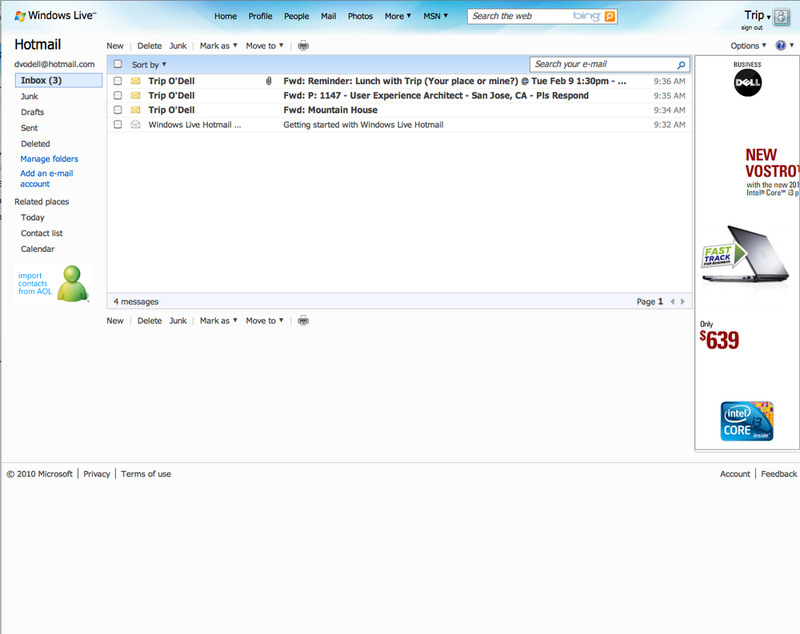 Wave 4 Hotmail was represented a major step forward for the Windows Live service. I was charged with redesigning the primary navigation and message list for the web app. I've included screens from the Wave 3 design as reference to show the improvement.
" It's fast, clean, easy on the eyes, and easy to use. Hotmail 2011's unique new tools for handling inbox clutter, solutions for photo and document attachments, alias addresses, and integration with leading social networks are just a few of many strong arguments for why Hotmail's my new Editors' Choice—and why it should be your Web-based e-mail service."